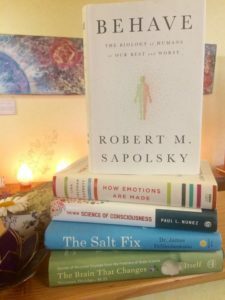 We have a Consciousness Library at The Soul Space, a collection of books related to the themes of everything we do, offer and love at Oly Float, Intuitive Being and The Soul Space. Our library includes titles by authors such as Bruce Lipton, David Hawkins, John Lilly, Paramhansa Yogananda, Dan Millman, Michio Kaku, to name just a few. It covers everything related to consciousness, meditation and mindfulness; neuroscience; emotional processing; language; philoshopy; and more. We invite you to either show up early before your sessions with us, or hang out for a while afterwards, and enjoy browsing through our growing library. 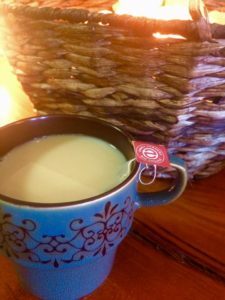 Even if you’re not here for a session, always feel free to just come in, hang out, enjoy a cup of tea and some good reads. Our space is designed for relaxation, solitude, quiet and community. Our members can even borrow books for up to two weeks at a time. Just another small perk for our valued members.